Aga Mulach's Weird but Perfect Food Combo? Hint: It's CRISPYLICIOUS. We all know that Aga Mulach has always loved Fried Chicken. For him and his family, there is only one brand that comes to mind when you talk about fried chicken: Jollibee Chickenjoy. 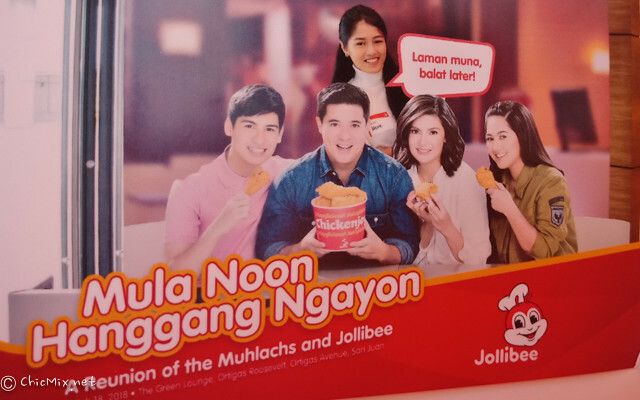 And we take a trip down memory lane as we saw the latest Chickenjoy TV Commercial along with The Muhlachs -a prominent celebrity family consisting of Aga, Charlene, and their twins Atasha and Andres. "Talagang mula noon, hanggang ngayon, Chickenjoy has been a constant presence in my life." Aga shared Not only because of all the projects I did with Jollibee, but because it really is my favorite fried chicken From the crispylicious skin to the juicylicious, malinamnam meat that you dip in the gravy, Chickenjoy really hits the spot when it comes to flavor na di ko malilimutan. L-R: Aga Mulach, Charlene Gonzales-Mulach, Atasha and Andres, their twins. Atasha and Andres, now 16 years old, shot their first Jollibee Commercial when they were 4 years of age. This love for Chickenjoy is something the teenage Atasha and Andres, who also appeared in several Chickenjoy commercials as young children. "And the twins really do the 'isa pa! isa pang Chickenjoy thing because they really love (the product). They grew up with Chickenjoy, and they know that when it comes to fried chicken, talaga namang best sa sarap ang Chickenjoy, "he added. But when asked what was his best food combo with chickenjoy? Aga stated that he'd order one piece chicken and one piece burgersteak, save the balat for later (chicken skin), eat up the rice and the chicken, then for your second helping, go crazy with the burgersteak and add in that balat for a bit of crunch. The commercial aired January 2018 is more of a reunion for the Muhlachs' with the 40 year old fastfood chain. During the commercial, Aga reminisces key moments in his life as he remembers how Chickenjoy has been a huge part of their family bonding moments through the years. Like the Muhlachs, My family and I celebrate bonding time with a time-tested classic from Jollibee! My Jenae loves the spaghetti and Rafael adores Chickenjoy. The sweetest part is that I know that Rafael really loves her sister because he usually gives some of the balat to Jenae, even if she can't have it as she's allergic to chicken. But as Aga Mulach said, you know na love mo talaga sila pag binigay mo yung last piece ng balat ng crispylicious and juicylicious bite of Chickenjoy. 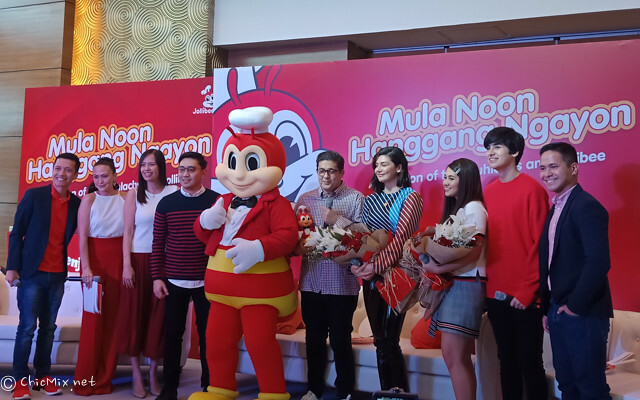 Throughout the years, Chickenjoy has always been a classic favorite for many Pinoy families because of the unparalleled flavor and dining experience it delivers, said Cathleen Capat, Jollibee Marketing Director for Flagship Products. 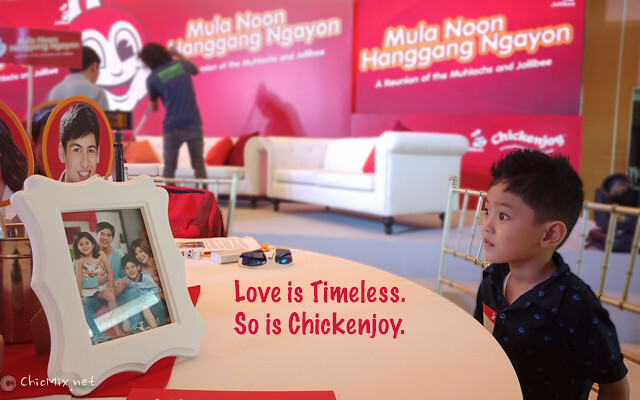 The love for our crispylicious, juicylicious, and gravylicious offering is something that one grows up with, and is eventually passed on to the younger generation, like with Aga and his family This tradition of heartwarming family moments made even more joyful with Chickenjoy is something that we at Jollibee hope to encourage and foster for the years to come. Actually, I love Jollibee commercials. They teach us family values which is very essential for the family makes a society. Bonding is very important in a family. Parents should have time for their kids. So I think it is more of promoting chicken joy but also promoting good family values. I hope that parents should be like Aga Mulach and Charlene Gonzales who have time for their kids. I also hope that there will be more kids that knows how to love and be generous to others.